(ACE) 26 tracks with 12 page booklet. Hollywood maverick Gary 'Alley-Oop' Paxton tried his hand at all sorts of genres back in the early-mid 1960s, mastering all with consummate ease. His girl group recordings rank with some of his best, thanks to his tremendous stable of writers and some little heralded distaff talent. 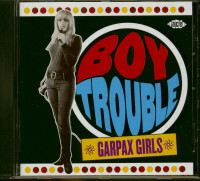 The sounds on 'Boy Trouble' were all made between 1963 and 1967 and leased to various labels or issued on Paxton-run imprints like Garpax and Star-Burst. However the bulk of these recordings are presented here for the first time from recently archived master tapes. BRIAN WILSON ADMIRED him, Phil Spector was scared of him-.-in the roll-call of 1960s Hollywood record men, quixotic producer Gary S Paxton was amongst the most remarkable. Like Wilson, in the studio Paxton was hands-on, covering all aspects of playing, singing and production-.-like Spector, he had the knack of marrying song, singer and arrangement. Unlike Wilson and Spector however, Paxton's was a seat-of-the-pants operation that relied on a loyal retinue of writers and players and most significantly, the relentless 24/7, pill and alcohol-fuelled drive of the man himself. On the face of it, having made his name with novelty material like Alley-Oop, Gary Paxton might not have a lot of affinity with girl groups, but his natural enthusiasm for R&B and a finely-honed sense of the commercial made the category an easy one for him to excel at. As a major player in mid-1960s Hollywood, it was only natural that female artists, or their management, would beat a path to the producer's door, looking for a contract or an opportunity to record. The songs here cover all aspects, verging from the teeny-bop subject matter and occasional untutored vocals of the classic girl-group sound, through to sophisticated, dramatic pleas from mature young women, and exciting pop-soul aimed at the discotheque floor. They all retain the essential elements of quality mid-1960s pop - great material, great arrangements, and some fabulous singing. 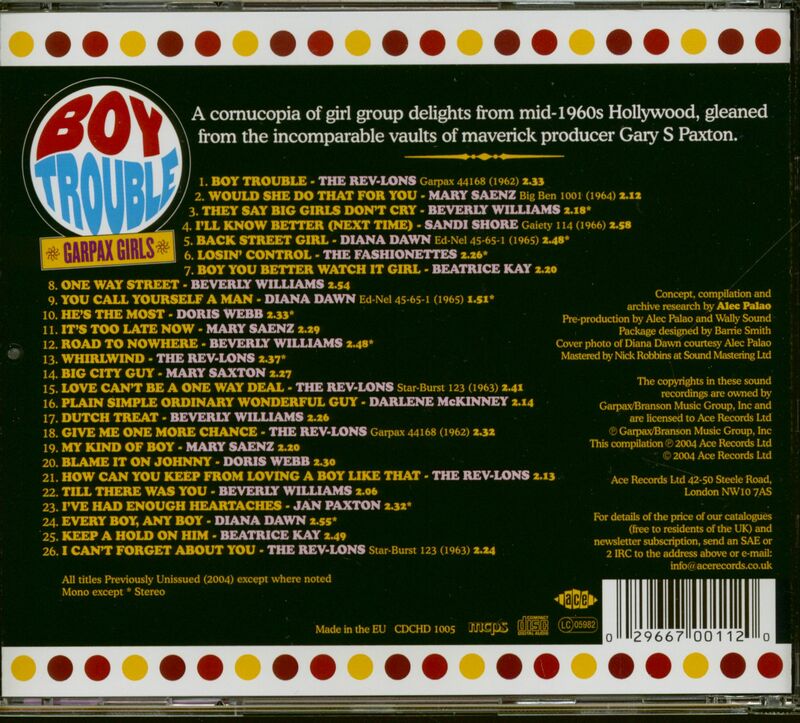 The tracks on Boy Trouble" were all recorded between 1963-1967 and leased to various labels or issued on Paxton-run imprints like Garpax and Star-Burst. However the bulk of this thoroughly enjoyable anthology is presented here for the first time, from recently excavated master tapes. Highlights include Bakersfield trio the Rev-Lons and their well-known title track Boy Trouble, plus other single cuts and some splendid unissued material-.-the precocious Beverly Williams, who turns in some fabulous Spector-esque sides-.-au go go swingers like Diana Dawn and Mary Saenz-.-and even Paxton's then-wife Jan, whose smoky tones beg the question as to why the producer didn't try to make her a star. When it came to the other side of the tracks, Paxton had some awesome talent at his disposal, exemplified by the tuff-voiced Beatrice Kay, whose Boy You Better Watch It Girl would have the Ronettes running for cover. The prolific Paxton was unable to place everything he did, and most of the female acts he produced remained unsuccessful, with the notable exception of future soul diva Thelma Houston, discovered singing with the Art Reynolds Singers, and for whom Gary produced several early solo singles for Capitol. The rest of these artists remain tantalizingly obscure, but their performances and material are often as classy and memorable as the acknowledged greats of the girl-group idiom. 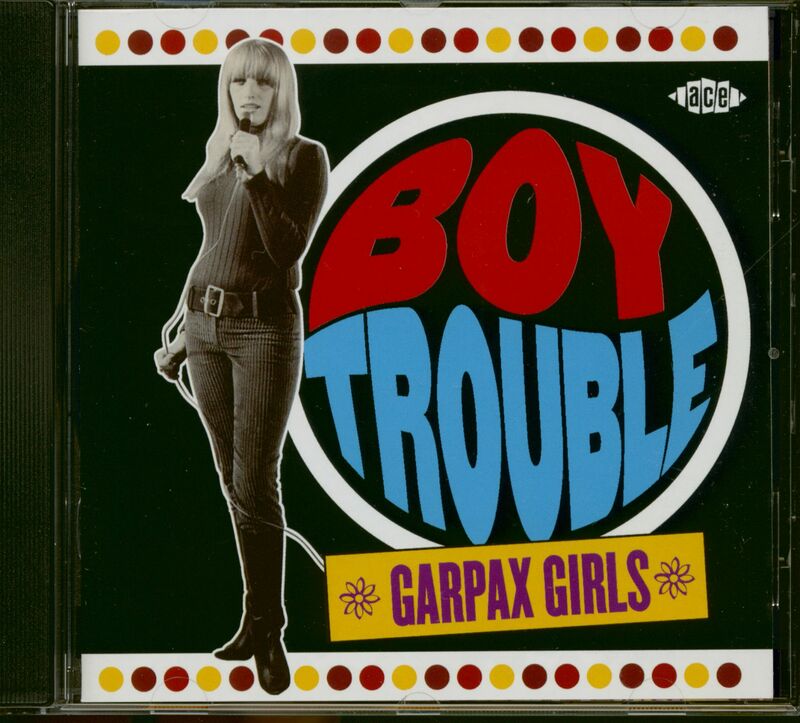 Customer evaluation for "Boy Trouble - Garpax Girls (CD)"